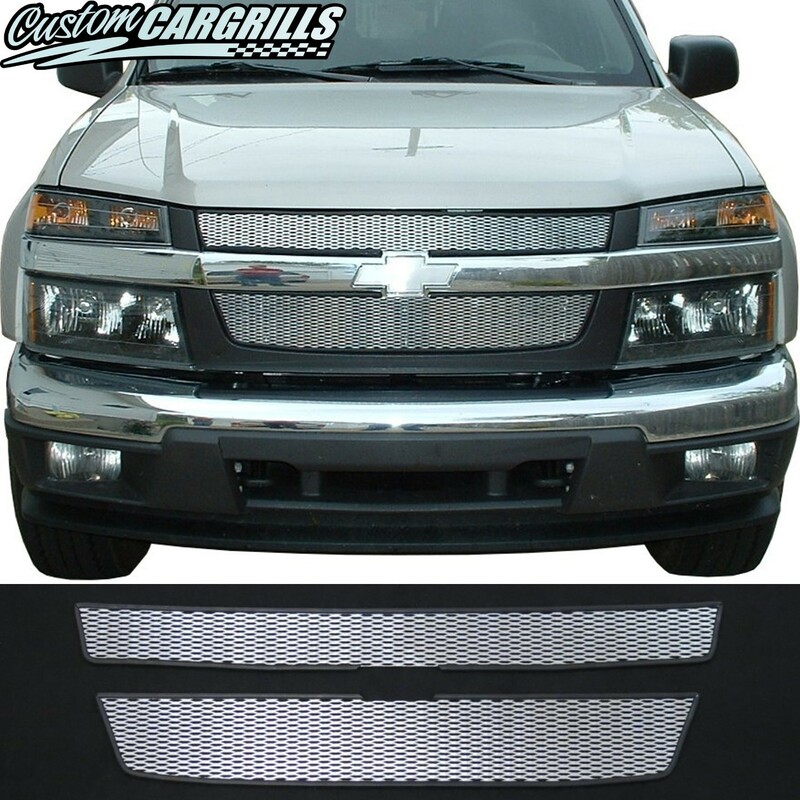 This is a mesh grill kit for a Chevy Colorado from 2004-2012. Included are top and bottom mesh pieces along with 8 plastic ties & metal wire for installation, and a rubber trim has been installed along the outer edge. 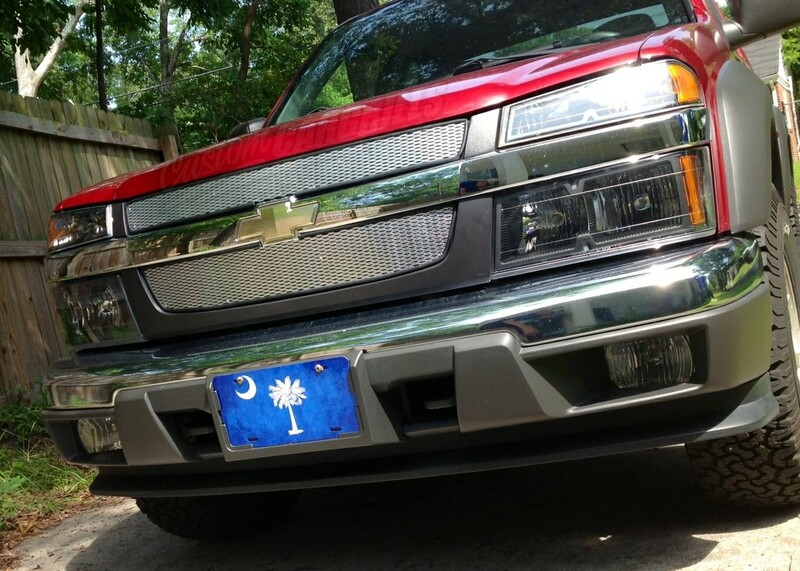 This goes over top of the factory grill, and is not a replacement for the factory grill. 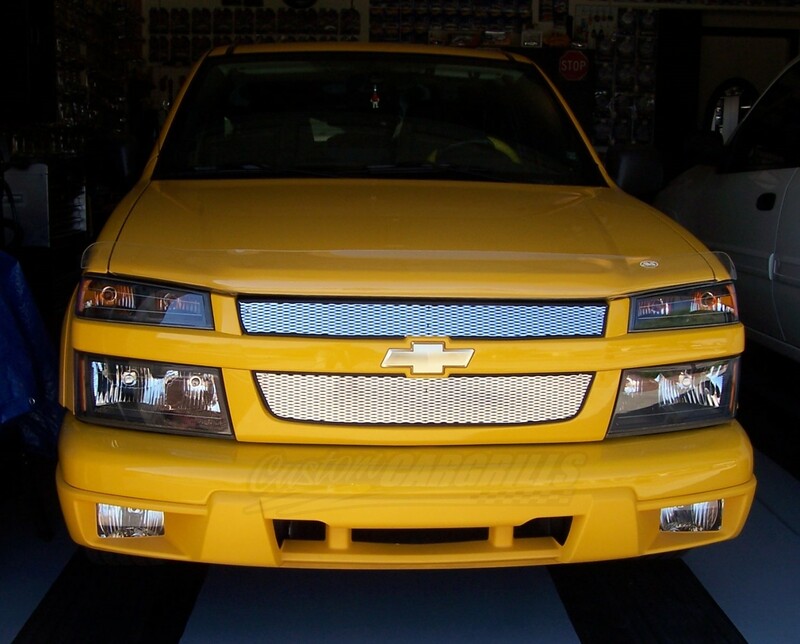 Chevy logo is not included and there is a cutout in the mesh for the factory logo to come through the rubber trim. Please click on the tabs below for more information.